Red Baron Aviation Life Support Equipment will be exhibiting new products and services. Booth 1C12. 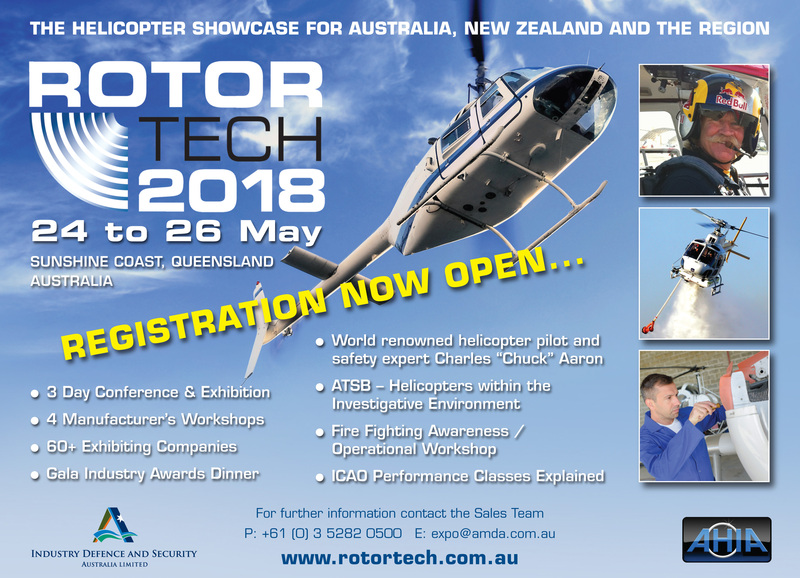 Rotor Tech 2018 is the helicopter showcase for Australia, New Zealand and the region.